A magnitude 2.8 earthquake hit Mojacar this morning at 08:35:49 local time, at about 8km underground. Woke me up, what about you? 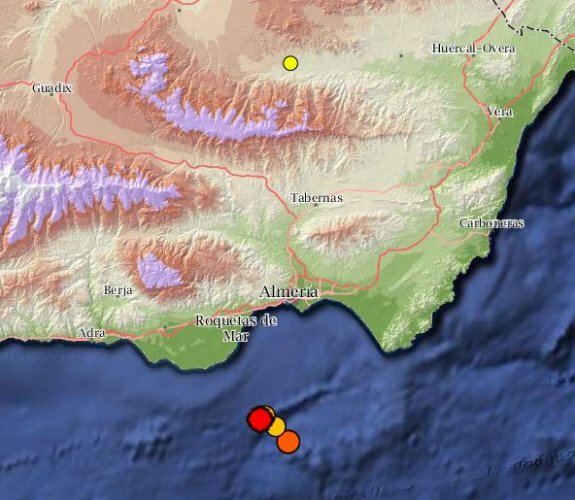 There was a further earthquake at around 03:26:15 in the Alboran sea, in front of the Granada coast, but near the Moroccan side, of magnitude 4, which we probably felt as well. Two earthquakes of 3.7 and 3.8 degrees on the Richter scale struck, around 1.50 am Tuesday morning, the municipalities of Cuevas del Almanzora and Zurgena, according to Civil Protection(via Europe Press). 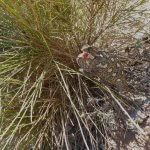 The earthquake of 3.7 degrees had its epicenter seven km underneath Cuevas del Almanzora, while that of 3.8 degrees was located in southeastern Zurgena, about ten miles deep. So far, no reports of property or personal damage.